What would you do if you were stranded on Mars after a manned mission was aborted, causing your team to leave you for dead? Me? I know that I would likely die just during Earth launch from loss of all of my bodily fluids at once. But being stranded on Mars is exactly the scenario faced by Mark Watney in the novel The Martian. Author Andy Weir expertly weaves tension, humor, and science in this harrowing tale of space exploration. I don’t hold any advanced degrees, but I know enough to know that the science behind the story is solid. Aside from the more immediate needs of food and shelter, Mark has to find a way to create the necessities of life, like air and water, from the barren Martian landscape. Andy Weir has written more than just a dry survival manual though. 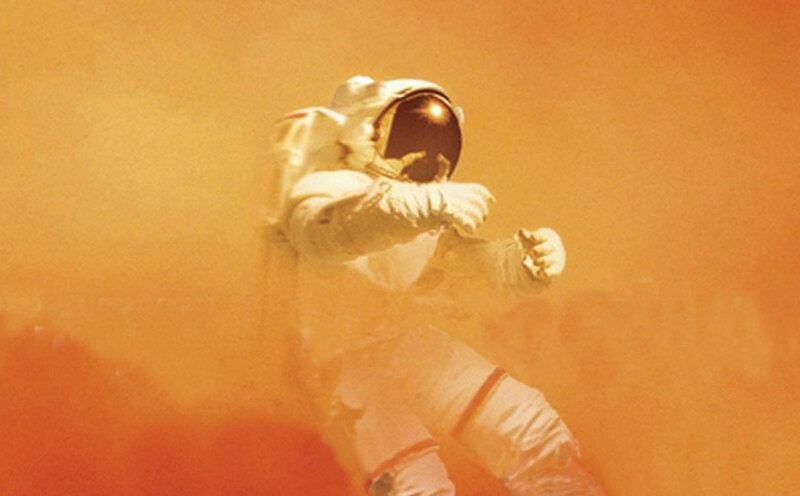 The weight of the story rests on the able shoulders of engineer/biologist Mark Watney. Whereas most of us might just curl up and wait for the red sands to cover our bodies, Mark takes on the very daunting challenge of his survival with the pluck and determination you would expect of a trained astronaut. Plus, he takes on the seemingly insurmountable obstacles with a welcome and wise assed sense of humor that is just as bright as his ingenuity. You truly do find yourself rooting for his survival and his intense likeability really helps ratchets up the tension during the most seemingly insurmountable obstacles. A self-published novel, in 2012, The Martian has recently been optioned for a movie with Ridley Scott at the helm. You can expect to catch it in theaters in November of 2015. For a great reading though, you can beat the audio book version narrated by R. C. Bray, who brings a rich charm to the character during his roller coaster ride. The Martian has taken its place amongst my favorite novels. The novel’s brilliant mix of drama, humor, and science makes this an easy read that will draw you in and compel you to keep the pages turning.